Thanks to MemoryWeb for sharing smart tips to organize your pre-digital photos. If we can add to the report, afterward, hop on over to MemoryWeb to add narration and rich metadata content to each 35mm slide, film and digitized snapshot. ScanMyPhotos.com. One provider we researched is ScanMyPhotos.com. This company has been around since 1990 and offers a wide variety of scanning services to fit your specific needs. We really like how their website guides you through options such as whether you need your images scanned at the highest resolution or if you could get what you need with a lower, less-costly resolution. ScanMyPhotos also goes the extra mile to offer services such as front/back photo scanning and can even provide an Elite Concierge Expert for those who would like dedicated assistance throughout their project. MemoryWeb was founded by three Chicago-based entrepreneurs with a track record of start-up success who believe that back-of-the-photo information should travel with photos wherever they go. 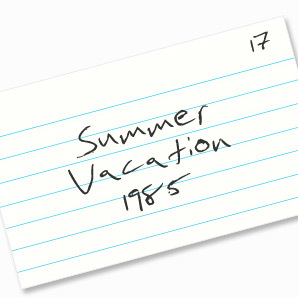 Currently available for iOS devices, MemoryWeb brings generations of photos from a broad range of sources in one organized place, creates interactive connections between them and preserves “back-of-the-photo” details forever. Because MemoryWeb imports copies of photos directly from places such as Facebook, Instagram, Dropbox, Flickr, Photos Camera Roll, Mac/Windows computers and FamilySearch, the company is able to preserve more of the correct information tags during the import process. Tune in beginning at 11 minutes for the interview. Background on TechTalk Radio. Host Andy Taylor has been in Broadcasting for over 20 years. Andy joined the Tucson News Now Team as Tech Correspondent early in 2007 and hosted a weekly segment on the latest gadgets and technology, He now hosts the segment on KMSB Fox 11 Tucson on a Bi-Weekly basis. Andy has also been heard as a technology correspondent on WKRZ-FM’s Rocky & Sue in the Morning, Scott Sands on WSPD and other stations talking about and presenting technology users can benefit from. Andy also writes columns on Technology for other various publications and participates in many charity events as well as performing Morning Radio Wake up duties at KGVY Green Valley and Afternoons at KHIT 107.5 Tucson. 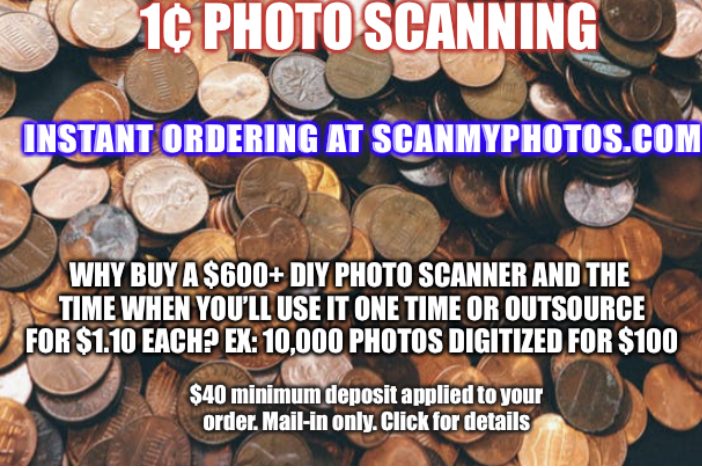 On this episode, Andy interviews ScanMYPhotos CEO, Mitch Goldstone on the new innovative way to digitize pictures for as low as one cent each. Over the years, we have asked people why they had their pre-digital photographs preserved. Among the top answers were to create genealogy projects by going back in time. 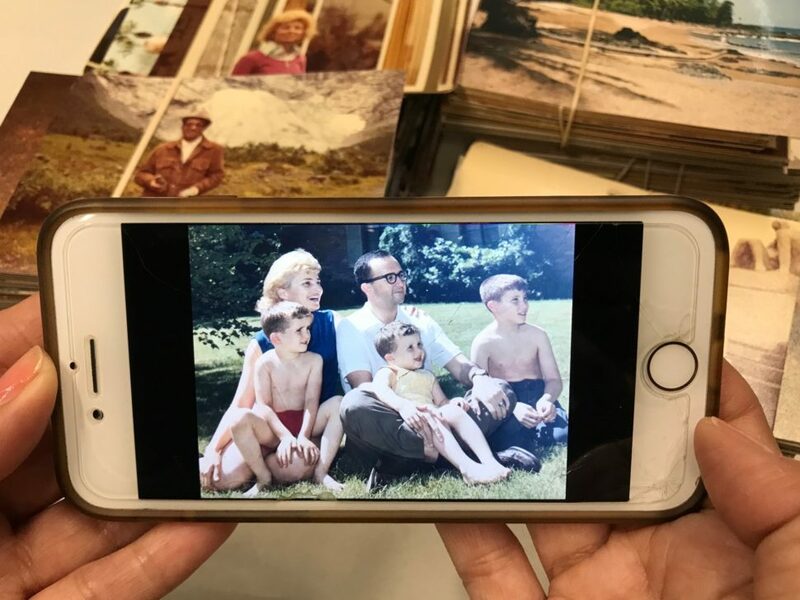 Researching who was in each photo from yesteryear and engaging the entire family on a treasure hunt to commemorate and preserve all those family memories. Along the way one name kept popping up for helping learn about a familys herritage. Genealogy Bank has become the leading answer as they help you learn about your past. GenealogyBank is a leading online genealogical resource from NewsBank, inc. Featuring a wealth of exclusive material-including modern obituaries and historical newspapers, books, pamphlets, military records, government documents and more-GenealogyBank helps you discover fascinating information about your family history. GenealogyBank’s 9,000+ historical newspapers include letters, speeches, opinion pieces, advertisements, hometown news, photographs, illustrations and more. These unique primary documents go beyond names and dates, providing first-hand accounts that simply aren’t available from census or vital records alone. With GenealogyBank, you’ll get a glimpse into the triumphs, troubles and everyday experiences of your American ancestors. Excerpt: Weather Disasters Bring Digitization Front And Center. The recent “bomb cyclone” that hit the Midwest has again illustrated the need for all of us to digitize our photos! At minute 37, Scott Fisher interviews Mitch Goldstone, CEO and Co-Founder of ScanMyPhotos.com who visits with Fisher about the recent “bomb cyclone” and other natural disasters which are causing thousands to lose their most precious photos. From the Extreme Genes website: Scott Fisher: Extreme Genes is a natural for Fisher, a Connecticut native, who has been in radio since his youth, and has spent three decades of spare time as a passionate “roots sleuth.” A long-time morning show host, Fisher is the author of “New York City Methodist Marriages, 1785-1893,” Picton Press, 1994. He has also been published in the New York Genealogical and Biographical Society Journal (April 2004), and Catholic Ancestor, Journal of the Catholic Family History Society of England (June 1996). His ten books on the families of both his and his wife’s ancestors, written over 30 years, fill the better part of a shelf in Fisher’s family room library. Fisher began Extreme Genes in July of 2013 on a single AM/FM station in Salt Lake City. Today the show is heard in dozens of markets across the country and is heard over 500,000 times a month. Fisher is also a national speaker on the subject of family history. Click here to subscribe to Extreme Genes. Join the newsletter to receive the latest in family history.